We’re off to see Dinosaurs! Year 6 excitably made their way to the Natural History Museum on the 3rd December. The topic for this term has been Evolution and this was going to allow development of their understanding. 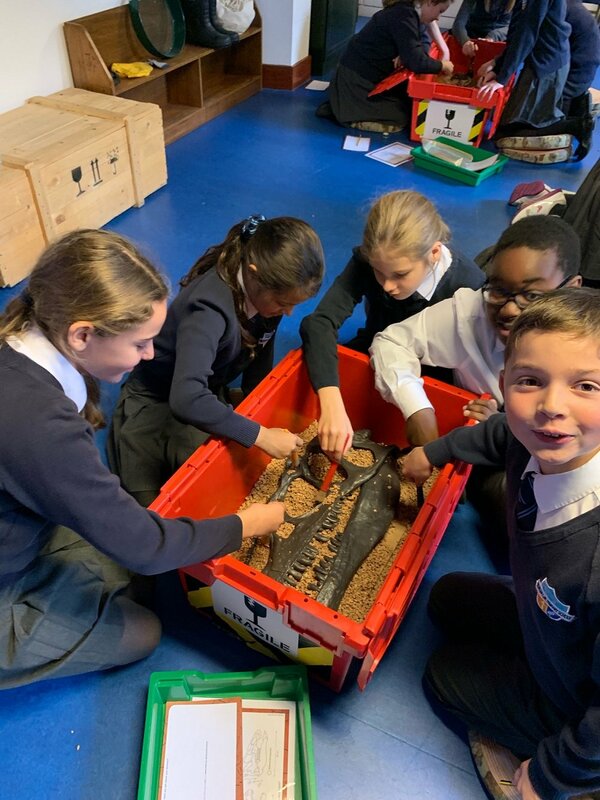 Pupils attended a workshop which allowed them to observe and classify fossils. They then got the opportunity to become paleontologists and uncover dinosaur bones buried beneath the earth. After lunch, it was off to explore the museum and find out more about History and investigate the shop. All pupils behaved impeccably throughout the day and were a credit to themselves.